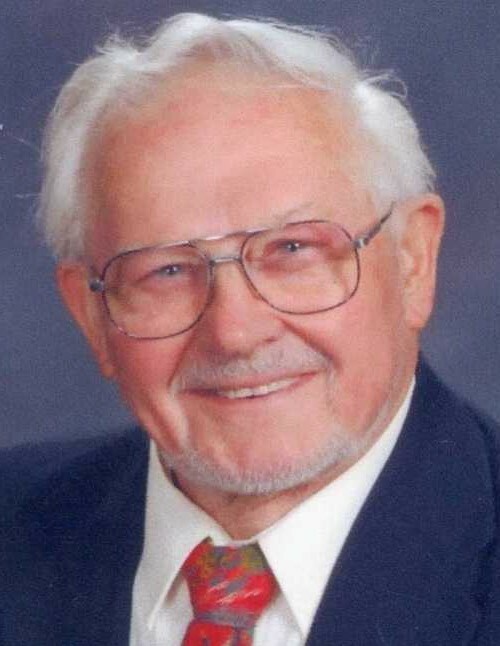 Joseph E. "Papa Joe" Maline, 88, of St. Anne Home, Greensburg, was called home early Saturday morning, Jan. 26, 2019, to be with the Lord. Mr. Maline was born July 14, 1930, in Norvelt, a son of the late Joseph S. and Mary (Pushkar) Maline. He was preceded in death by his sweetheart and soul mate of 53 years, Hazel Jane (Croft) Maline; his brother, George; and his sister, Joanne Kuhel. Joe was a 1947 graduate of the former Hurst High School, where he excelled in industrial arts. He proudly served his country in the Army (1951-1954) during the Korean War. After an honorable discharge, he purchased and rode his 1948 Indian to see his sweetheart, Hazel Jane, and to Walworth Valve Co., where he began his machinist apprenticeship on his journey to become a leading operator. Prior to his retirement, he was employed at Westinghouse Electric Corp. in East Pittsburgh for 35 years, where he held numerous positions. Joe rose quickly through the ranks from a machinist to a quality control tool and die inspector. He had many awards for his contributions and improvements in tool and die making throughout his career at Westinghouse. Joe could repair anything, "if he couldn't fix it, you didn't need it," and had a zeal for life that was hard to keep up with. Joe was a very active and devoted lifelong member of St. Bruno Catholic Church, along with his wife, Hazel Jane. He was a member of the Roosevelt Club of Hempfield Township and the American Legion of South Greensburg. Papa Joe was a family-oriented man with a huge heart. He was an avid outdoorsman, always looking forward to camping, hunting and fishing with his family. He was a passionate gardener, always sharing his crops with his family and neighbors. Joe was a dedicated father, husband, grandfather and great-grandfather who loved spending time with his wife, eight children, 13 grandchildren and eight great-grandchildren. Fond memories of Joe will live on and he will be greatly missed by his family and friends. Joe is survived by his eight children, Timothy and Helen, of Arona, Susan Vodopivec, of Greensburg, Karen Eckenrode, of North Huntingdon, Jennifer and Craig Laratonda, of North Huntingdon, Cynthia and Robert McGill, of Jeannette, Joel, of Claridge, Laura and Dan Rowe, of Greensburg, and Christian, of Jeannette; and his grand- and great-grandchildren. Relatives and friends are invited to celebrate the life of Joseph from 4 to 8 p.m. Wednesday in the CLEMENT L. PANTALONE FUNERAL HOME INC., 409 W. Pittsburgh St., Greensburg, PA 15601, 724-837-0020. Parting prayers will be held in the funeral home at 9:15 a.m. Thursday, followed at 10 a.m. by a funeral Mass to be celebrated in St. Bruno Church. Interment with military honors will follow in Westmoreland County Memorial Park, Greensburg. In lieu of flowers, memorial donations may be made to St. Jude Children's Research Hospital, 501 St. Jude Place, Memphis, TN 38105, or to a children's charity of choice. Joseph's family has entrusted his care to the Pantalone Funeral Home Inc., Greensburg. To share your memories and photos, offer your condolences, or for directions, please visit us at www.pantalone.com, Natale N. Pantalone, supervisor.